Oil States offers a complete line of expander tubes with replacement components for the industrial clutch and brake product line. 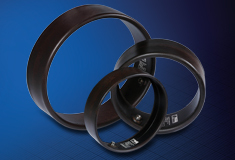 Our tubes are designed for the most rigorous applications that have high pneumatic and hydraulic pressures. Oil States has a facility in Arlington, Texas, where we manufacture rubber that features proven technology in the market. We offer full engineering support worldwide to help you quickly and confidently solve your toughest design challenges.